21st March 2018 marks the 5th Anniversary of the National Apology for Forced Adoptions. The apology was delivered by former Australian Prime Minister The Hon Julia Gillard AC, on behalf of the Australian Government. The delivery of the apology broke the decades-long silence relating to this dark aspect of Australia’s social, religious and political history. Apologies can go a long way towards restorative justice and healing, and we hope that by coming together today, the effects of forced adoption practices will become more visible and a little less isolating. In the video below, Julia shares with us some reflections of what that day meant for her. Our Forced Adoption Support Service (FASS) is part of a nationally funded service following on from this historic Apology and sits alongside our state-funded Post Adoption Support Service (PASS). 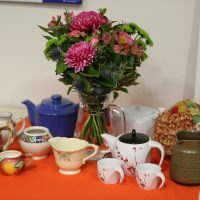 On March 21st, we hosted a Morning Tea to commemorate this Anniversary, where community members came together to watch the special video message from Julia Gillard. Visit http://bit.ly/2psKG2D for more information about Adoption Support Services for adults and children or call 1800 21 03 13 to get in touch with your local service.